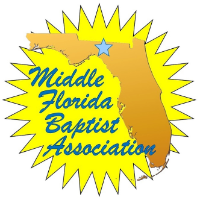 The 32 member churches of the Middle Florida Baptist Association thank you for taking time to learn more about the people and ministry of our Association. We hope the information available to you here will help you learn more about our work and our churches. If you cannot find the information you are looking for, please do not hesitate to contact us with your question. Our staff looks forward to chatting with you and serving you however we may be able to.